Luka Modric described winning the Ballon d'Or as a unique honour after beating Cristiano Ronaldo and Antoine Griezmann to the individual award. Modric is the first Croatia player to win the Ballon d'Or and his triumph at Monday's ceremony ends the decade-long dominance of Ronaldo and Lionel Messi, who have five titles apiece. 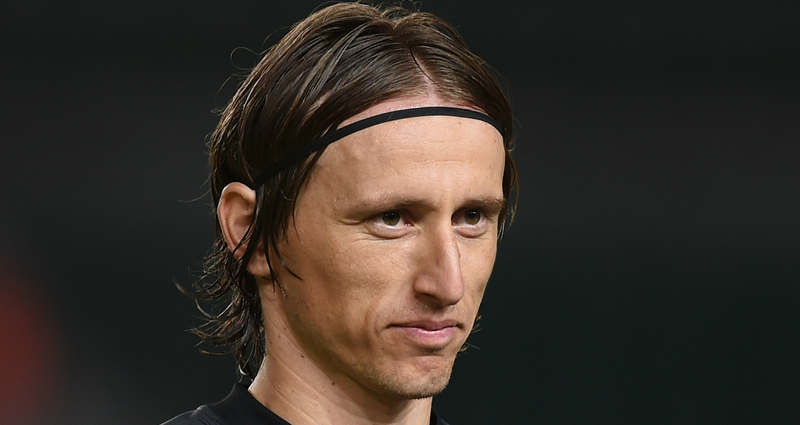 Croatia's run to the World Cup final earned Modric the Russia 2018 Golden Ball and he was also given FIFA's The Best Men's Player award earlier in the year. But the France Football-organised Ballon d'Or is still considered the top individual honour in world football, with Modric delighted to be recognised as the finest player on the planet in 2018. "It's a unique feeling, I'm happy, proud and it's an honour," Modric said on collecting the prize. "[There are] extraordinary emotions at the moment. "I just want to thank all those who helped me to be here tonight, I thank my team-mates, my coaches, the staff and Real Madrid, all those who work there, the coaches and team-mates in the national team, the ones who voted for me and my family, which allows me to blossom as a person. "Always have dreams, I wanted to play in a big club, win titles, the Ballon d'Or is all I could dream [about] as a child, it's an honour to win it tonight. "It's a great pleasure to be here around these players. I keep thinking, I'm trying to get used to being part of this group of exceptional players who have won the Ballon d'Or in history. It's a great pleasure to be part of this group. "Throughout my career I understood that work, persistence, believing in yourself, is the basis for expressing your talent. I like a saying - the best is never easy. For me, it was not easy. It was necessary to seize the opportunities." Real Madrid midfielder Modric feels playing deeper in midfield for club and country has enabled him to take his game to the next level. "To change position allowed me to develop my game, before I was more an offensive player," said Modric, who won a third consecutive Champions League title with Madrid this year. "When I retreated, I had a better vision of the game, I could better express my creativity, my game. In my second year in Tottenham, I played as a midfielder and I felt better in the middle." Ronaldo finished second in the voting, with Atletico Madrid striker and France international Griezmann in third after winning both the World Cup and the Europa League in 2018. Kylian Mbappe missed out on a place in the top three but was given the inaugural Kopa Trophy for the world's best male player aged under 21.